This is a copy of the birth certificate of Marbel Lillian Musgrove, third daughter of George and Emily Musgrove. As can be seen George's profession is put as gentleman which meant he had private means.The birth was not registered for nearly three months and Lilly was not baptised in common with all the Musgrove children. The Certificate gives no precise address in Navestock but we believe the family were living on a farm in the area. 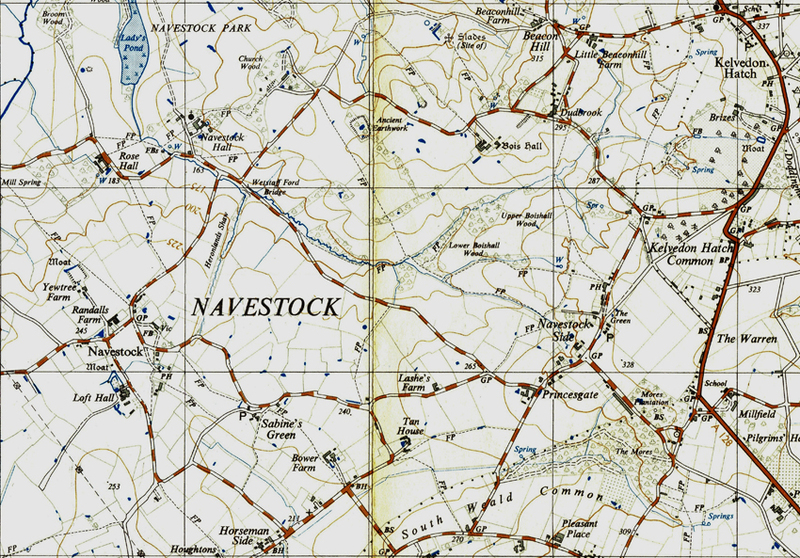 The Musgroves only lived there for a short time and therefore are not recorded in any commercial directories or listed on the Electoral Register. The map below shows the area but we probably will never know exactly where they lived. The Birth Certificate was ordered in 1943 in order to apply for the state pension.